People in the Low Countries have long been known for their ability to move around, an ability celebrated in the early maps and atlases. Recently, the problem of navigation has expressed itself in a somewhat different form: that of the mechanical puzzle. 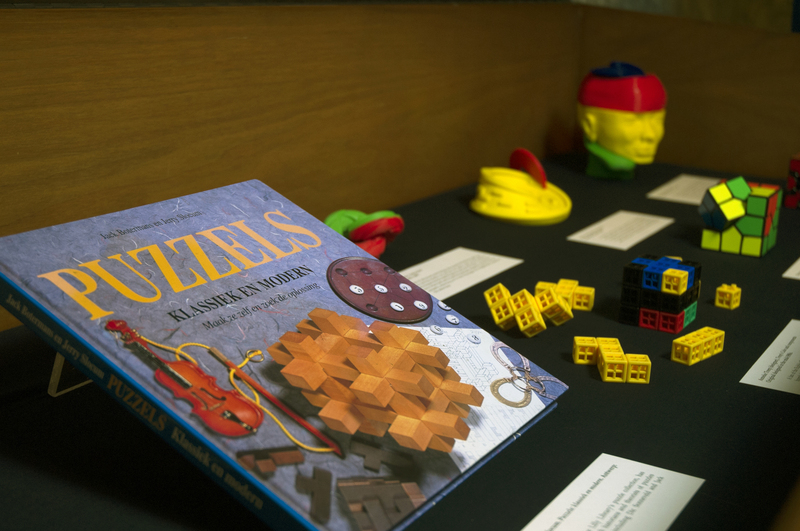 This exhibit features puzzles of designers from the Low Countries and the variety of challenges that those puzzles present. They demonstrate that for their designers, obstacles are goals in their own right, rather than byproducts of a larger pursuit. With these puzzles, the journey remains the destination.